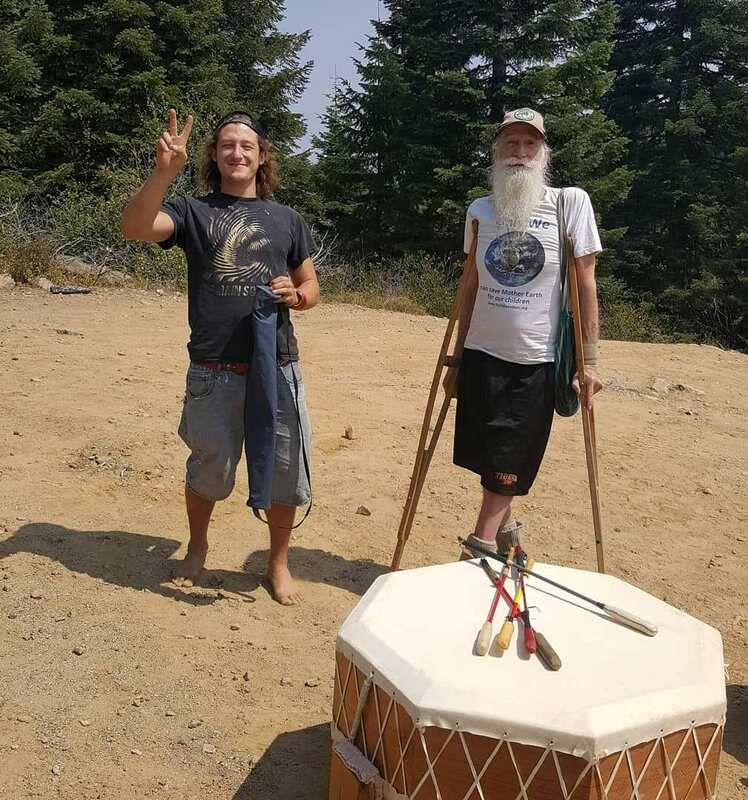 (R-L) A Native friend and Robert “Bobcat” Brothers at their Aug 25th ceremony on a mountain in northern California sacred to local tribes. There are many little known places on Earth that have been respected as sacred by Indigenous people for thousands of years. At one of these places in northern California, a mountain blessing had been planned by Robert “Bobcat” Brothers and friends, and the date of the 8/25 Mount Baldy ceremony told us when. With 5 men and a traditional medicine drum, it worked out great. After the ceremony, Bobcat had a profound insight. “Relaxing after the ceremony on a mountain where we had prayed many times before, I turned to my Indian friend and said, “That space felt bigger this time. Does that make sense, how could it feel bigger?” He replied, “Well, had to be. There were a lot more people in it this time.” And all of a sudden all of the places and people came to my mind, a network sharing the same prayers for peace, each place adding strength to the others. The ceremonial space was enlarged by the network it was joined to. Simply connecting to a network like this enlarges each who participates.